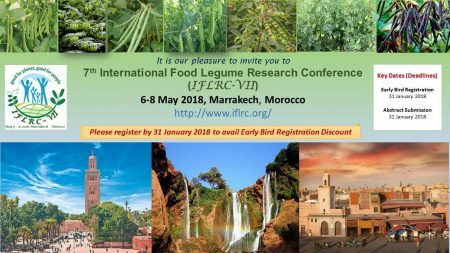 The 7th International Food Legume Research Conference (IFLRC-VII) will be on 6-8 May 2018 at Palais des Congrès, Marrakech, Morocco. 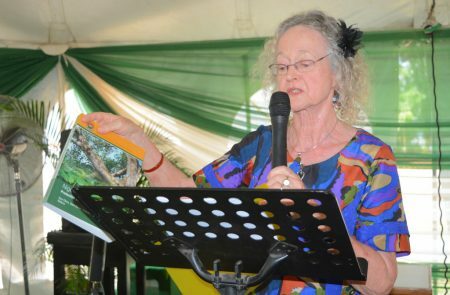 Deni Bown, the Forest Unit Manager, is a writer, botanist, photographer, publisher, and consultant from Norfolk, England, who has a special interest in herbs, trees, gardening, and natural history. 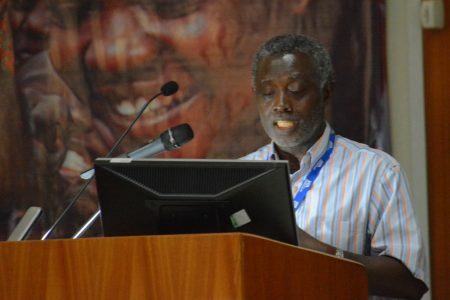 On 23 November 2017, the Director, Research for Development, West Africa, Dr Robert Asiedu, was cited as one of 28 most published scholars in Nigeria on the Opinions.NG website. 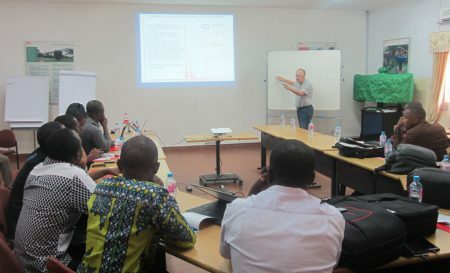 On 27–29 December 2017, the Congo Basin Institute offered a training workshop on chromatography and mass spectrometry (MS). 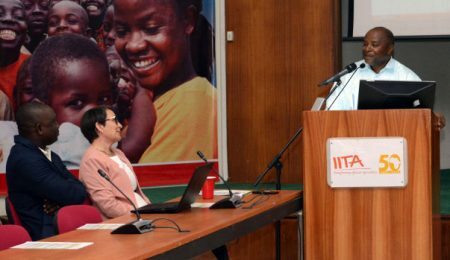 IITA Benin Station marked the Institute’s 50th anniversary. The event was well attended by staff, family, stakeholders, and friends of the station. 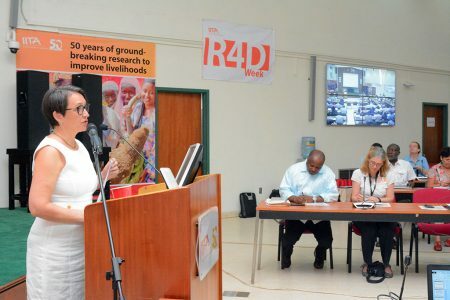 Kenton Dashiell, IITA Deputy Director General for Partnerships for Delivery (P4D), during his talk on the first day of R4D Week, gave an overview of IITA’s efforts to scale out its technologies through partnership. 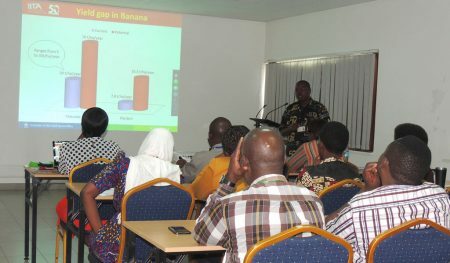 The newly formed Biorisk Management Facility (BIMAF) has prioritized the development of a biological control solution for the fall armyworm (FAW), which was introduced to Africa from America and is marching across the continent leaving a wave of destruction in its path. 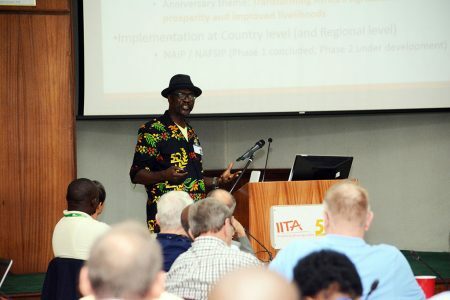 In addition to aligning its research activities with the strategic goals and priorities of the countries it is working in, IITA has also made good progress in aligning itself to regional and international entities, said Kwesi Atta-Krah. 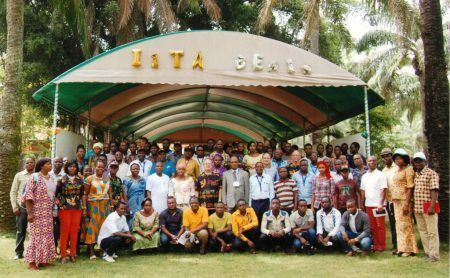 The IITA plant health team is addressing a plethora of pests and diseases in Africa as part of efforts to increase agricultural production. 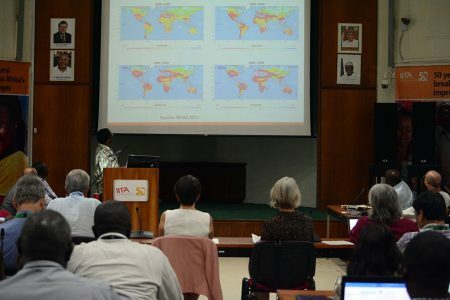 David Chikoye, Director for Southern Africa and head of the plant health team, talked about the various activities of the team during the R4D Week session on plant health.